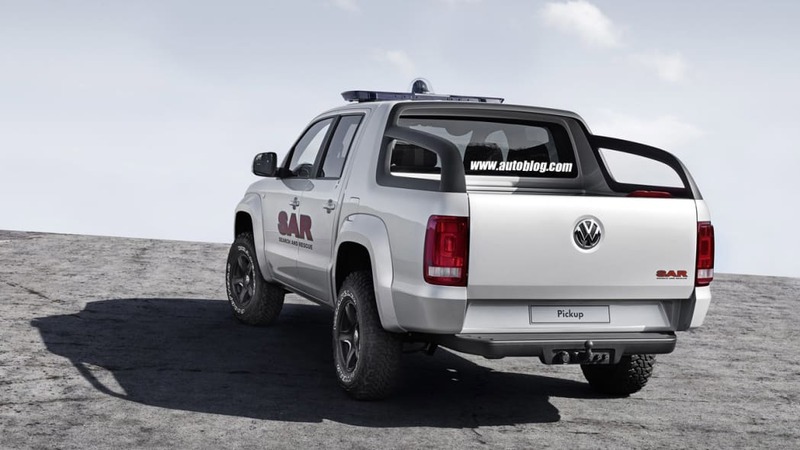 Volkswagen's entry into the "one-ton" truck fray has officially hit the Web before its proper unveiling at the 62nd IAA Commercial Vehicles Show, and although it's only called the "Concept Pickup" for now, this spartan work truck is what consumers in South America and other emerging markets (not the U.S. and Europe) will likely know as the Robust when it goes into production In Pacheco, Argentina next year. 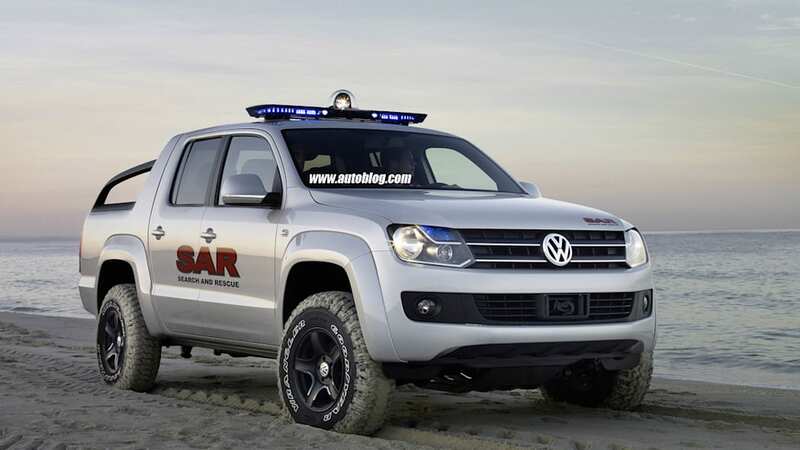 Blending V-Dub style with a profile reminiscent of the Honda Ridgeline, the double-cab concept is tarted up with SAR badges, a functional light bar and all the life-saving tools that you'd find in a coastal search-and-rescue-mobile, include a Baywatch-style "can" in the bed. 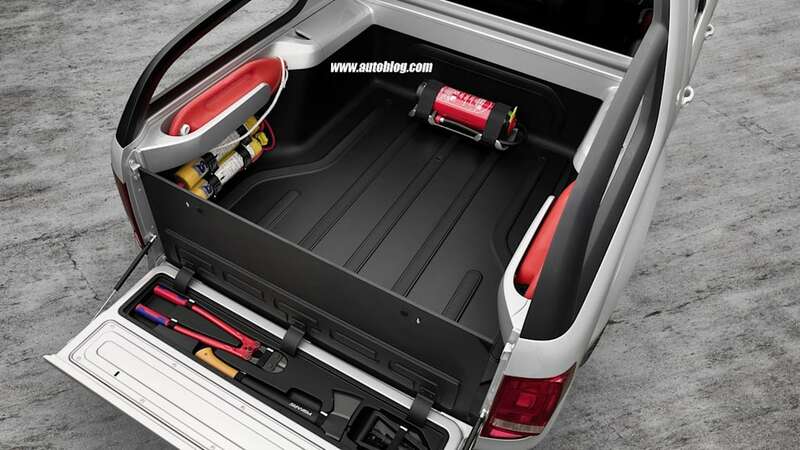 We're partial to the massive grille and deep air dam that spans the fascia, along with the bars flanking the bed and the incredibly production-ready interior. 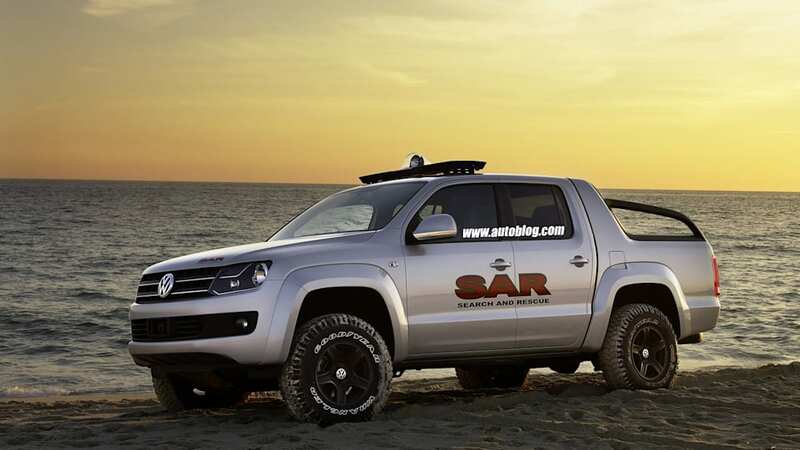 Both gasoline and diesel powerplants will be available when the production version goes on sale next year, and if it were 1995, we'd loved to see the VW pickup available in the U.S.